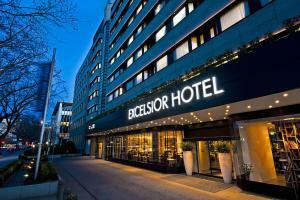 This modern hotel in central Berlin offers spacious rooms, on-site parking and free Wi-Fi internet. Zoologischer Garten Train Station is 200 metres away. 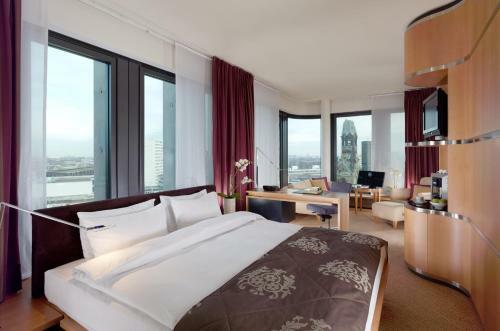 The soundproofed rooms of the Motel One Berlin Ku'Damm feature a flat-screen TV and adjustable air conditioning. The granite bathrooms are fitted with a rain shower. The 24-hour One Lounge is a lobby, breakfast café and bar. It features designer furniture and offers hot and cold snacks around the clock. 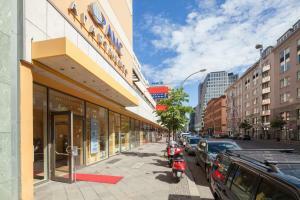 Art'Otel Berlin Kudamm By Park Plaza price per day from €45 This design hotel is 300 metres from the Kurfürstendamm shopping boulevard with its many boutiques and art galleries. It offers free Wi-Fi, modern interiors and rooms with a flat-screen TV. The bright, air-conditioned rooms of the Park Plaza Berlin Kudamm feature original works by the artist Wolf Vostell. Guests are offered a free tour to learn more about his work. An international breakfast buffet is available each morning in the Park Plaza Berlin Kudamm's Garden Salon. Sofitel Berlin Kurfürstendamm price per day from €108 Just 100 metres from the Kurfürstendamm boulevard, this 5-star design hotel offers air-conditioned rooms, free Wi-Fi and a French restaurant. 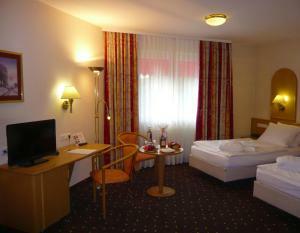 Its spacious rooms and suites feature dark woods and high windows. Spa facilities at the Sofitel Berlin Kurfürstendamm include a sauna, a steam room and a fitness studio. 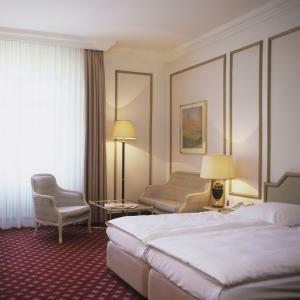 Formerly the Hotel Concorde Berlin, the Sofitel Berlin Kurfürstendamm provides a touch of luxury in an Art Deco building. 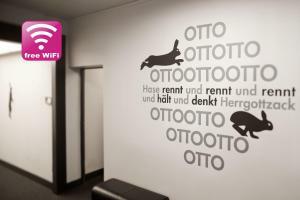 Hampton by Hilton Berlin City West price per day from €79 Just a 5-minute walk from the Kurfürstendamm shopping street, this Hampton by Hilton hotel in Berlin's Charlottenburg district offers air-conditioned rooms, free Wi-Fi and free use of the modern gym. Every room at the Hampton by Hilton Berlin City West features a flat-screen TV, tea/coffee facilities, and a bathroom with glass shower. 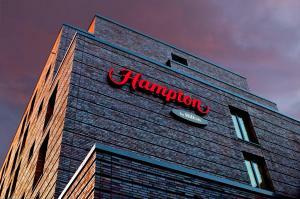 A buffet breakfast is provided each morning at the Hampton Berlin. 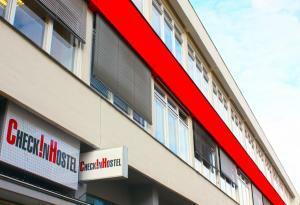 Restaurant Heising, Berlin Guest reviews: 9,6/10 ~ 0,4 km from Motel One Berlin Ku'Damm Address: Rankestrasse 32, Berlin. Cuisine: French. Restaurant Salut Mediterranean Food, Berlin Guest reviews: 9,4/10 ~ 0,5 km from Motel One Berlin Ku'Damm Address: Augsburger Strasse 29, 10789, Berlin. Cuisine: Italian. Restaurant Jacob's Bar & , Berlin Guest reviews: 9,2/10 ~ 0,7 km from Motel One Berlin Ku'Damm Address: Nurnberger Strasse 14-15, 10789, Berlin. Cuisine: Mediterranean. 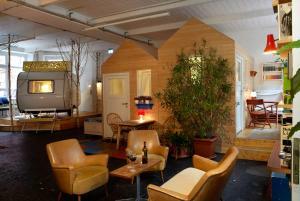 Restaurant Marjellchen, Berlin Guest reviews: 9/10 ~ 0,8 km from Motel One Berlin Ku'Damm Address: Mommsenstrasse 9, 10629, Berlin. Cuisine: German. Restaurant Ristorante Caffe Bocconi, Berlin Guest reviews: 9,2/10 ~ 0,9 km from Motel One Berlin Ku'Damm Address: Schlueterstrasse 74, 10625, Berlin. Cuisine: Italian.